As spring storms hit, power outages are not uncommon. You don’t want your car locked in the garage if your power goes out. Luckily, there are a few easy steps you can follow to manually open your garage door when the power is out. The first step is opening your garage door manually is to disconnect your garage door opener. Make sure your garage door is in the closed position. Locate the emergency cord disconnect on the garage door opener. This is usually a red cord with a handle that hangs down from the center rail of your garage door opener. Pull the cord to disengage the garage door opener. Carefully lift your garage door manually. If your garage door springs are properly balanced, your door will lift easily and evenly. Your door should stay in place, but make sure not to go under it without someone keeping it open. 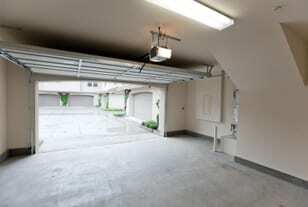 Your garage door could suddenly fall down without warning, causing serious injuries. If you find that your garage door is not properly balanced, call a garage door professional to properly inspect your door. Having your springs balanced is crucial and preventing garage door issues down the line. If you need to leave after your garage door has been manually opened, you will need to lock your door. When the automatic opener is disconnected, your door is not secure until you manually slide the lock bar located on the side of your garage door. When your power returns, you will need to reconnect your opener to your garage door. Make sure that your garage is unlocked when you reconnect your garage door opener. Forgetting to do so can cause serious garage door damage. If you need assistance learning how to open your garage door manually, call the experts at Action Garage Door. Dial 972-299-8980 to schedule an appointment.